Christenings • Weddings and anniversaries • Picnic lunches • Shooting lodges • Afternoon teas, traditional or with a twist • Canapé events • Canapés corporate and private events in London. 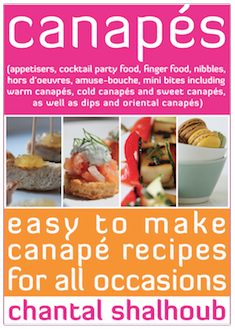 Chantal’s Kitchen is a catering company based in Putney, West London. We are an independently run business with a strong focus on creating canapés and celebratory meals. Whether it’s a small intimate gathering, wedding, corporate event or anniversary celebration, Chantal and the chefs at Chantal’s Kitchen will ensure your special occasion is a complete success.